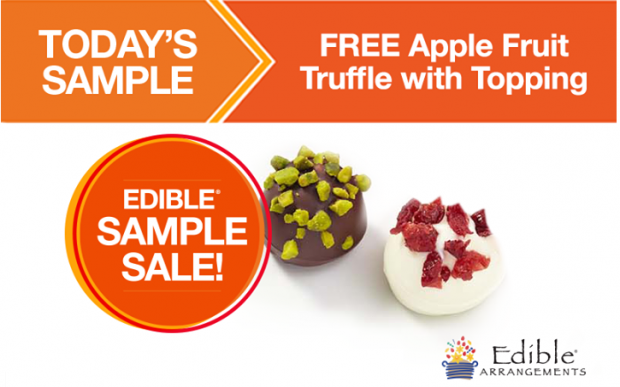 FREE Apple Fruit Truffle with Topping From Edible Arrangments! You are here: Home / FREEbies / FREE Apple Fruit Truffle with Topping From Edible Arrangments! Today Only! Get a FREE Apple Fruit Truffle with Topping From Edible Arrangments!! Just head over to your nearest location to receive your sample! Mention you are looking for today’s sample!